Meet people from Derbyshire who are just like you. Be inspired, get involved and have some fun! 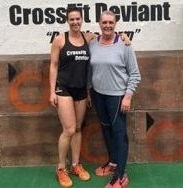 Victoria at her CrossFit session. Victoria said "It's time to get my life back." Carl said, "I'd gone up to 20 stone and couldn't fasten my size 38 trousers." Click here to read Carl's story. 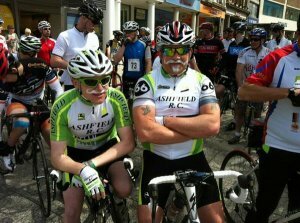 To find activities that you would like to do visit our Activity Search or visit our cycling pages to get started. 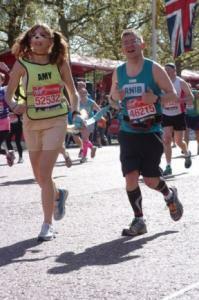 Tom said, "I started with trying to jog less than a mile - probably about half a mile - and thought, 'If I can manage that, I can go a bit further." Click here to read Tom's story. 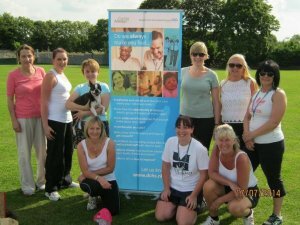 To find activities that you would like to do visit our Activity Search or visit our Jog Derbyshire page to get started. Nicola and her work colleagues. Nicola said, "We all get each other to do it and help each other out and we don't feel guilty about taking time out of the day to get some exercise in, with work very encouraging about doing things"
Click here to read Nicola's story. Click here to find out about the Active Derbyshire Workplace Challenge or visit our walking pages to get started. Sarah training for a triathlon. 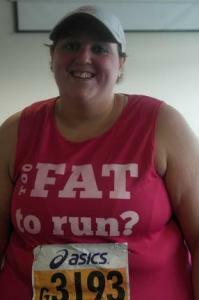 Sarah said "When I started out I was massively overweight, but once I got into it, I started getting faster in my running and competitive with it – which I had never been before in my life." Click here to read Sarah's story. 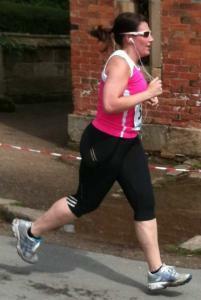 Zoe said "I have since lost four stone, three dress sizes and have a whole new network of gym and running friends." Click here to read Zoe's story. Helen commented that, "what I'd say to other women is, give it a go and don't be afraid of what other people might think - it provides a great work out and is great fun at the same time." Click here to read Helen's story. To find activities that you would like to do visit our Activity Search. 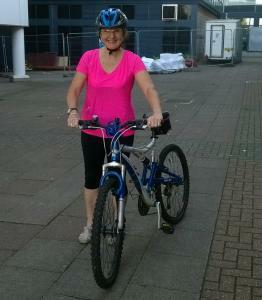 Suzanne out on her bike. 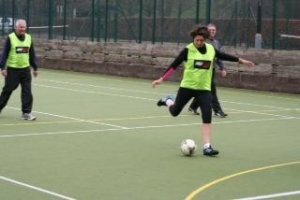 Suzanne said, "I damaged cruciate ligaments and the Summer of Cycling Challenge came at just the right time, because a bit of cycling was a useful way of building myself up again". Click here to read Suzanne's story. To find activities that you would like to do visit our Activity Search, or click here to find out about the Active Derbyshire Workplace Challenge or visit our cycling pages. 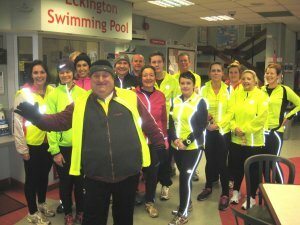 Kevin and his fellow joggers before a run. Kevin said that, "the doctor's pleased because I'm on medicines to reduce my blood pressure and they told me doing sports and loosing weight can help me. I can't cure my diabetes but I can control it." Click here to read Kevin's story.